At the start of the season in July we were targeting resident coho, but couldn’t keep the king salmon off our lines. For those of you that fished North Puget Sound last year, you know this wasn’t the case. There weren’t many kings around last year. Fortunately, this summer has been different. There’s plenty of more opportunity to catch kings now. Area 9 has closed. However, Area 10 and 11 are still open. In addition they increased the limit to two kings per person. There are kings around, but people have to work a little harder for them. Meanwhile, there are still kings around and also resident coho that are getting larger by the day. I’m not sure why the bite is more challenging, it could be the excessive heat or lack of rain, but I’m guessing it’s because many of them are staying further north (in Area 9) where bait is abundant. I don’t think they’ve migrated in great numbers to the South Sound yet. Area 10 and 11 will continue to remain open until the quota has been met. The Sound has plenty of salmon running from six to 15 pounds. We’ve seen a few breaching the 20-pound mark. Once the quota is met we will still be able to target coho, which means there’s months of fishing left for us. 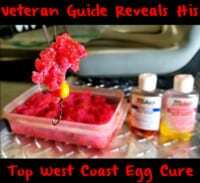 Don’t forget this year, unlike years past; it’s hatchery coho only. We’ll be able to target salmon through September. We’re catching these salmon multiple ways. I’ve been running Hot Spot flashers and spoons and artificial squid behind a flasher. We haven’t been running cut plug herring because there’s so many dogfish around. However, we haven’t abandoned the use of bait to increase our catch rates. What I’ve been doing is running smaller strips of herring behind my spoons or squid. We’ve been using mostly Natural Fire Brine (early in the season we used a lot of Blue Fire Brine), but when it comes to spoons I’ve stuck with Silver Horde spoons and Yamashita Squid. I run the bait because salmon have a tendency to just follow lures, but with the added bait they tend to strike more often. Some of my favorite spoons are kingfishers and Coho Killers in Herring Aid or Cookies and Cream. Popular squid colors are Double Glo and Green Splatter Back. Spots are no secret on The Sound. If you don’t know where to go look for the crowds of boats. That’s probably a good place to start. Be like every one else in The South and just follow the charter boats (but not too closely). Concentrate efforts on the outgoing tide on the south side of Jeff Head and switch to Kingston Ferry Docks for the incoming tide. I also like the oil docks south of Edmonds and Richmond Beach for other options during the incoming tide. 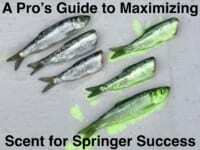 Fish closer to shore for your kings and up to 600 feet of water for coho. Editor’s Note: King salmon season closes August 15. For updated regulations please consult the Washington Department of Fish & Wildlife. Mike Ainsworth operates First Light Guide Service. 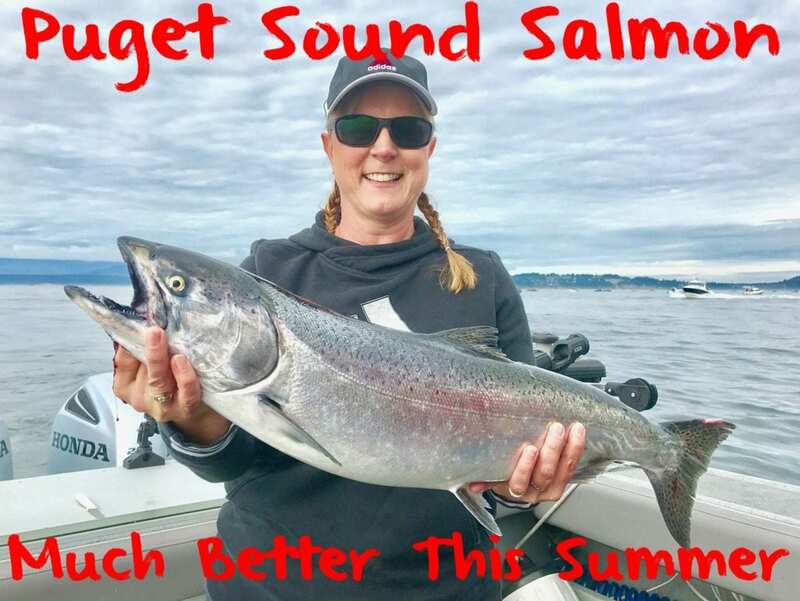 For more information on his Puget Sound salmon trips please visit https://firstlightguideservice.com or https://www.facebook.com/First-Light-Guide-Service-465494153638629.